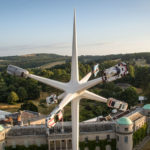 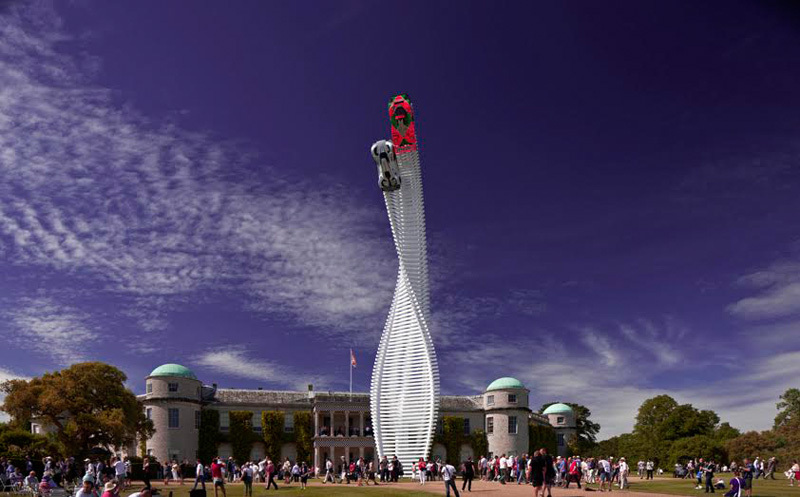 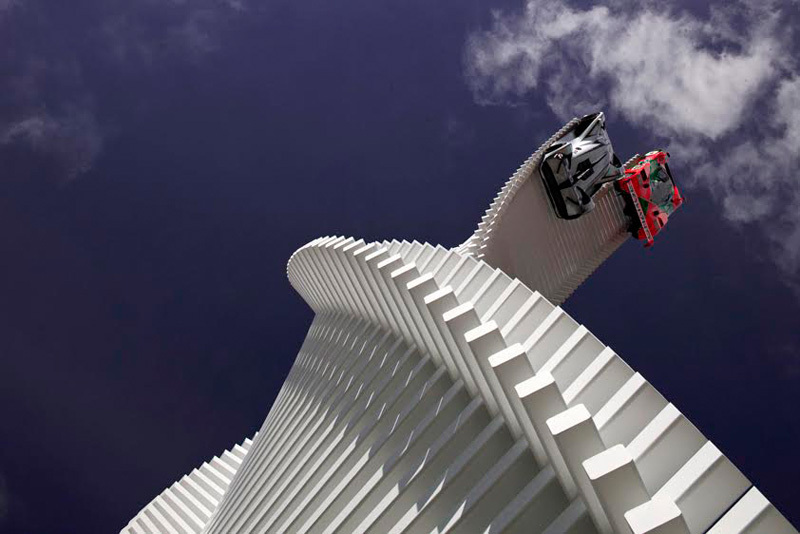 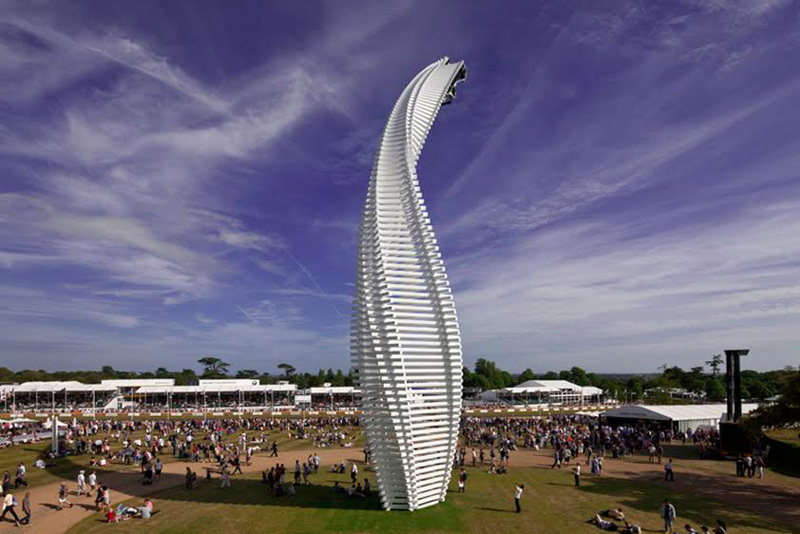 Artist Gerry Judah has created a sculptural centerpiece for the 2015 Goodwood Festival of Speed that is celebrating the Mazda Motor Corporation’s unique motorsport heritage with a powerful fusion of sculptural innovation and engineering precision. 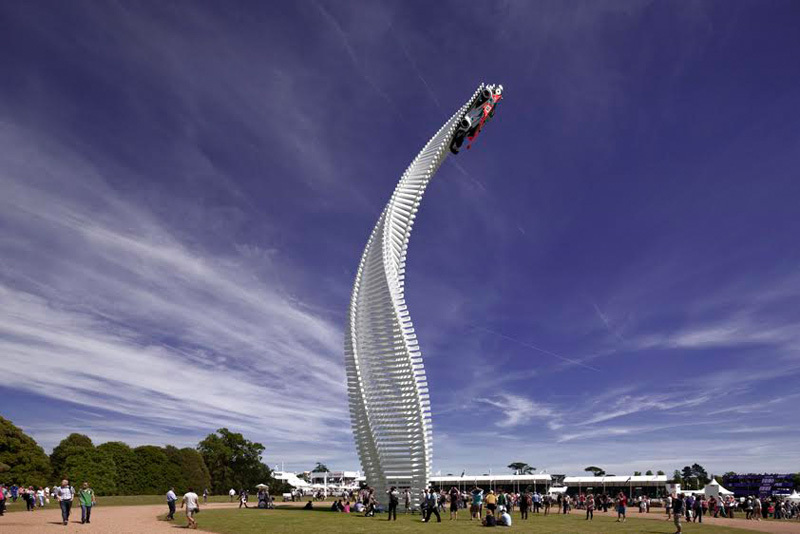 Locked in close contention, the rotary-engined 787B Le Mans winner and the LM55 Vision Gran Turismo concept sprint 40 metres skywards trailing a spectacular slipstream of muscular twisted steel. 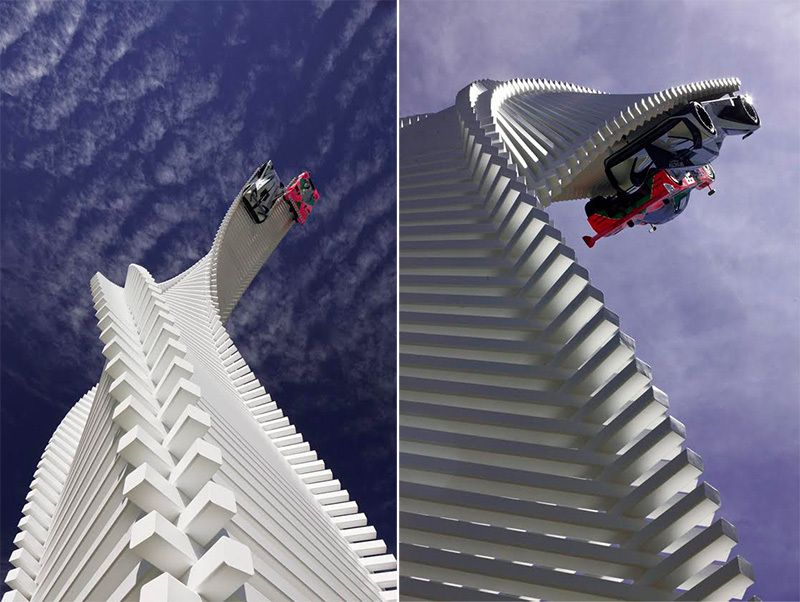 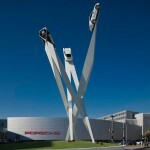 Stacked in the manner of pristine matchsticks, 720 steel beams of varying length and juxtaposition seamlessly swell, slim and fold the structure from right to left, cantilevering the cars high over the spectators below. 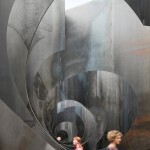 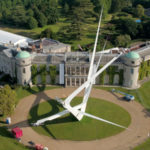 Featuring 120 tonnes of steel sections which, laid end-to-end, would stretch the entire 1235 metre length of the Goodwood Hill Climb, this beguiling structure is sculptor Gerry Judah’s most complex and sophisticated Centrepiece to date.